If you're a music lover, this 2-day tour from Toronto is for you! 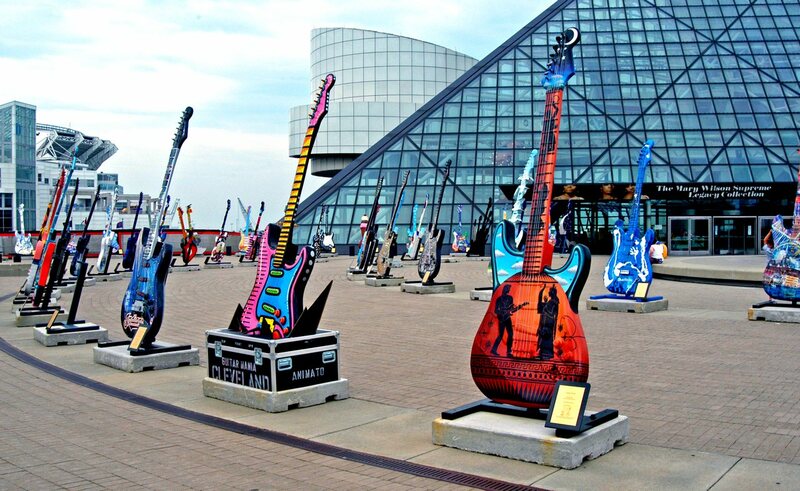 We visit the mecca of music -- the Rock & Roll Hall Of Fame in Cleveland. And don't think this is just for rock & roll fans. The Rock Hall as it's known, covers all music genres. In addition, you will enjoy a unique multimedia performance to the music of Cream performed by the sons and nephew of the original band members! This bus tour includes a ticket to this unique show. See below for details! A fabulous dinner buffet is included as part of the tour. One night's hotel accommodation at the Drury Plaza Hotel Cleveland Downtown included. One orchestra level ticket to the "Music of Cream" Tribute Show at KeyBank State Theatre included. Evening dinner at Drury Plaza Hotel Banquet Centre included. 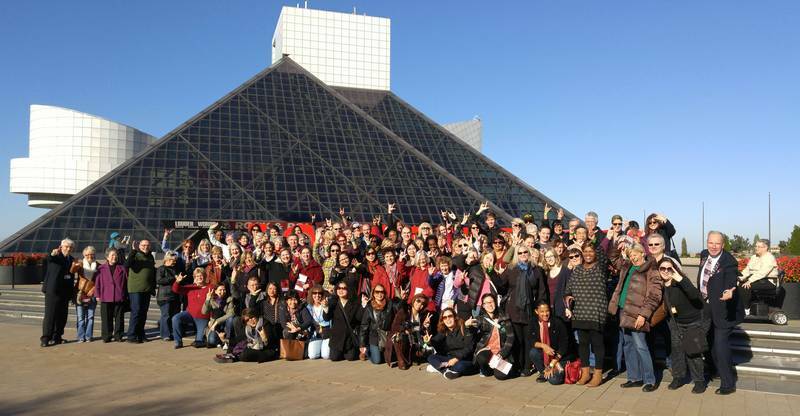 1½ hour guided tour of Cleveland with local tour guide included. 1 hour stop at Millcreek Mall, Erie, PA. Escorted tour with ShortTrips.ca tour director available 24/7 during the trip. ​ All prices are per person, in Canadian dollars. Taxes & tips are included! Full 100% refund if seat is cancelled by Thursday Sept 20, 2018. Sorry but no refunds if cancellation is received after Sept 20 2018. ​Of course if you wish to have a private room by yourself, that is no problem and you can pay the Single occupancy rate. Other options are Triple occupancy (if three of you are travelling together and wish to share a room) and Quad occupancy (if four of you are travelling together and wish to share a room). Emergency medical insurance and trip cancellation insurance is highly recommended for all passengers. Perched right on the shores of Lake Erie in Cleveland, Ohio are the greatest stories and biggest names in music at the Rock and Roll Hall of Fame and Museum. The experience includes 4 theaters, multiple interactive stations and 7 floors of exhibits that tell the story of the world’s most powerful art form. ​Cream was a chemical explosion like no other, the blueprint for every supergroup to follow and the heavy blues precursor to Hendrix, Zeppelin and so much more. Fifty years since their earth-shaking debut album, Kofi Baker (son of Ginger) and Malcolm Bruce (son of Jack) come together with Will Johns (nephew of Eric Clapton and son of Zeppelin/ Stones/ Hendrix engineer Andy) to unleash the lightning that electrified a generation. Experience this once-In-a-lifetime concert salute to the most innovative and explosive supergroup of all time, in the hands of those that knew them best. Watch as they interplay live with their fathers on the big screen; classic moments in rock history brought back to life. ​Feel the fire and the freedom of "Spoonful", "Strange Brew", "Sunshine of Your Love", "White Room", "Crossroads" and "Badge" — performed by master musicians whose lives have been steeped in the Cream spirit and legacy. The KeyBank State Theatre had the distinction of being the venue with “the world’s longest theater lobby” when it premiered Feb. 5, 1921. ​The lobby also displayed four (now-priceless) murals by American modernist James Daugherty. Opened as a movie/vaudeville house, the theatre attracted such legendary performers as Abbott & Costello, Fred Astaire, Judy Garland, Jack Benny and The Marx Brothers. ​Restored to it's original glory, what a wonderful and memorable venue for you to watch this concert!